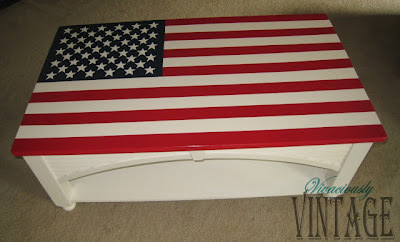 Ansley from Vivaciously Vintage shared this patriotic coffee table just in time to celebrate the holiday. That flag is just perfect! 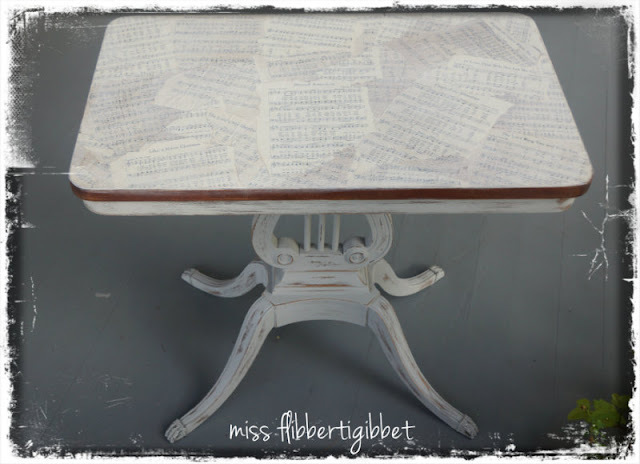 Miss Flibberligibbet shared this beautiful hymn table covered with what else - hymns! 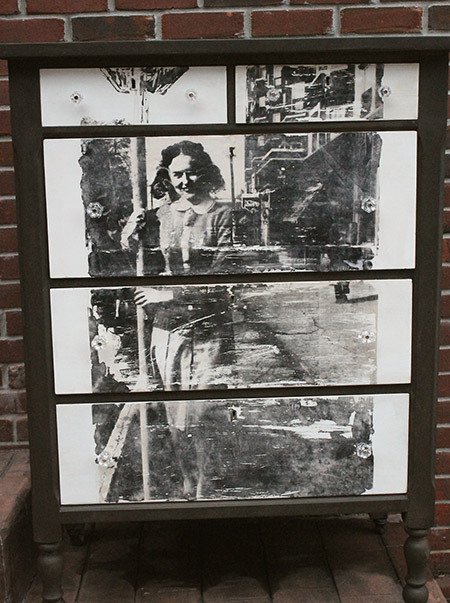 From Generation to Generation shared this amazing photo dresser! Have you ever seen anything like it? 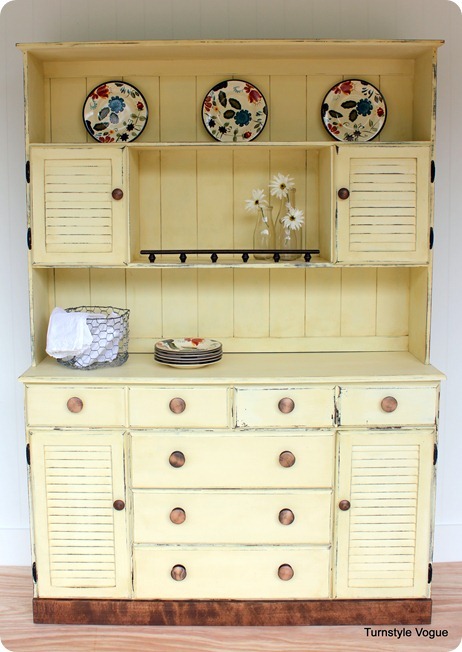 I just love the soft buttery color of this big beautiful hutch from Shari at Turnstyle Vogue! And I am such a fan of Julia's work over at 551 East. 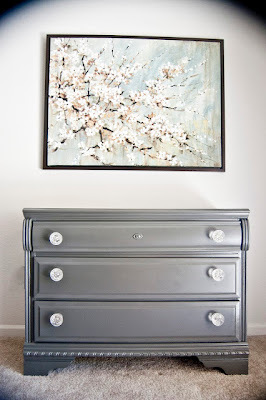 Just look at this gorgeous dresser! 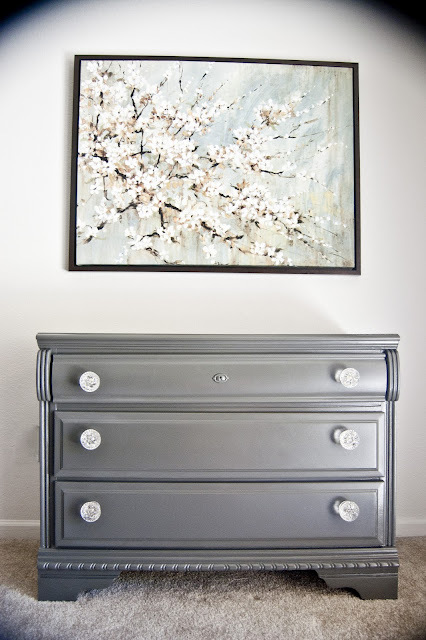 The color is amazing, the knobs just sparkle and it looks smooth as silk. 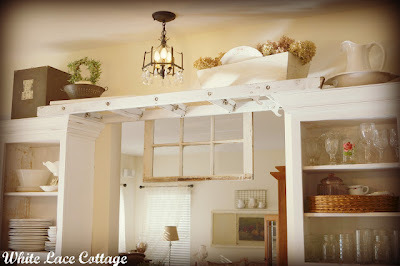 White Lace Cottage used a vintage ladder to join two cabinets in her dreamy white kitchen. So unique and pretty! 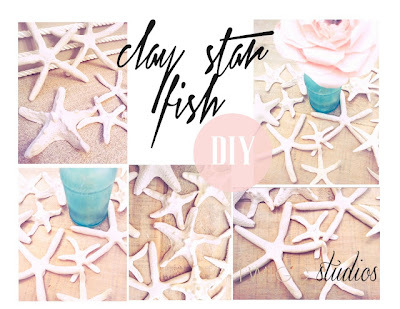 Don't you love decorating with beach finds? Well if you can't make it to the beach, Aimee from Twigg Studios has a tutorial for making your own starfish. And they look exactly like the real thing! 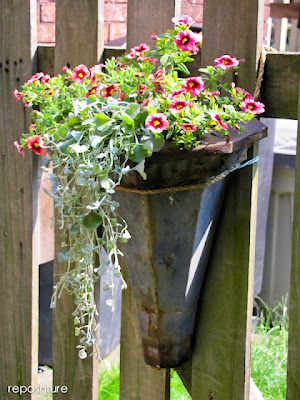 I love these rustic planters from Reposhture! 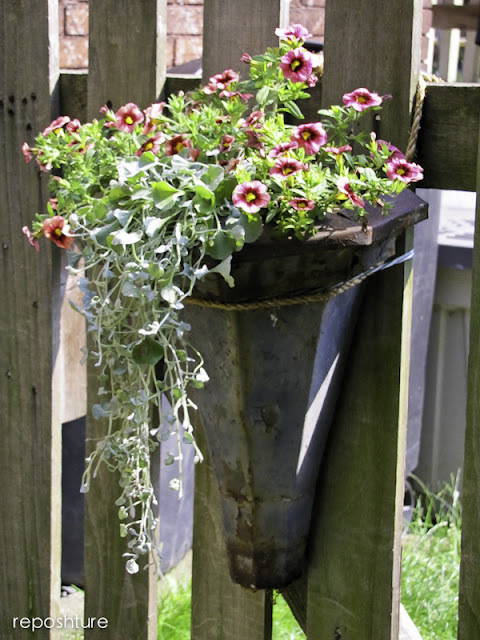 Can you believe Kim made them from vintage downspouts? 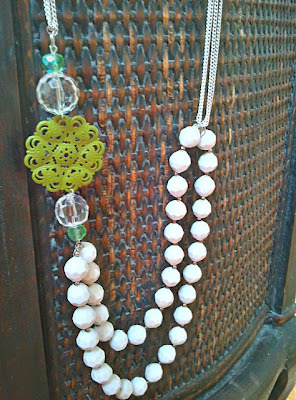 I love this pretty summer necklace from Tanya at Twelve-O-Eight! I think she has a great eye for putting bits and pieces together in a new way. And I love unique jewelry pieces! 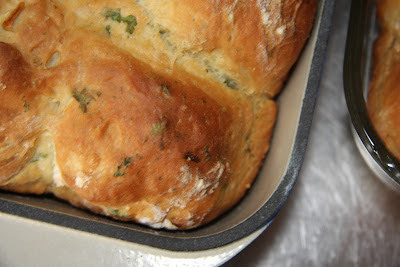 Jane's Adventures in Dinner suggests trying these herb buns with a burger - oh that sounds good! If you whip up a batch quickly, they could be the hit of your July 4th picnic! Thanks so much to everyone who linked up and linked back! I so appreciate you being here. If you've been featured, feel free to grab a cute little button from the sidebar! * Grab a party button and add it to your post or link back in some way! awesome features! i am taking the week off blogging, so nothing to share. maybe next time! :) happy 4th! what a neat idea with the ladder! happy 4th and thanks for hosting! Thanks so much for featuring my table! Thanks for being a great hostess! 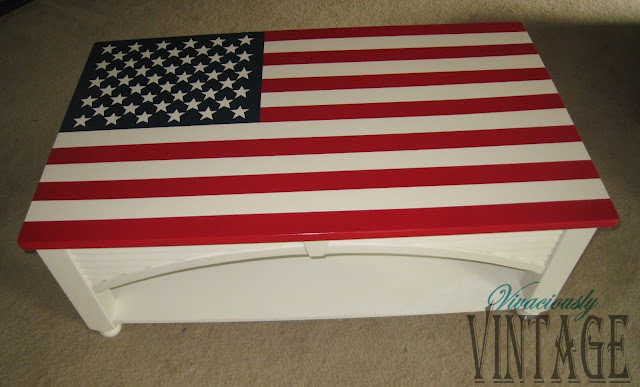 Thank you for featuring my kitchen ladder.Love all the other features great inspiration!Thank you for hosting.Have a Happy 4th of July! Thanks for hosting and making Tuesdays so fun. Thank you for hosting your party today, and have a wonderful week! I'm so glad you liked my hutch. Thanks for featuring it today. Have a wonderful holiday! Such wonderful features! Thanks for hosting Sharon! Happy 4th!!! Thank you so much for being such a great hostess and for the feature! VERY exciting! And I am such a fan of YOU and your work Sharon. :) Thank you for the feature! Hi Sharon, love the features this week! Thanks so much for hosting and have a wonderful 4th. Hi Sharon, thank you for hosting. Im am glad I had something thrifted to share this week - Thrifting on Holidays. Happy 4th of July. We just celebrated Canada Day on the 1st. thanks for hosting this fabulous party each week! Happy 4th! have fun, be safe! Hi Sharon, I truly enjoy linking up at your party. Thanks for being a gracious hostess and taking the time for us. THanks for featuring my pallet table ladies! You are my kind of "trashy" ladies! Hee Hee!